Sonic Mania is a new classic-based game, notably developed by Christian 'Taxman' Whitehead (who also worked on the re-releases for Sonic 1, 2 & CD). The game will feature levels both old (including Green Hill Zone and more from the original Sonic trilogy) and new, such as the featured Studiopolis Zone. There are a couple new abilities for Sonic, like the Drop Dash. Not only that, but both Tails AND Knuckles are gonna be playable too! It's currently estimated to have a longer overall gameplay length than Generations had, and is scheduled to release sometime in the Spring Summer of 2017 on PS4, Xbox One and PC. There's no word of a Wii-U or NX version yet, however. Never mind, it will also be coming to the Nintendo Switch at the same time. This certainly looks to be an incredibly fun adventure, and I'm definitely gonna be getting it around the time it's released. But what are your thoughts? Added the Nintendo Switch to the console lineup. If they get it right, this could be really fun. I... dunno what else to say. They're going classic, it'll either work great or they'll muck it up and it will crash. Gotta say, I think Sega is doing their best to try and neutralize the fanbase complaints. "Hmmm, half our fans say they want retro gameplay, half say they want Adventure 3. Let's do both"
Still surprised they haven't announced HD remakes of Adventure 1 and 2 for the anniversary. The only thing I can use to summarise my thoughts on this is the word "hype"–players have said that the physics and gameplay are as good, if not superior, to the original Genesis games (yes, I just said that). And the people behind it are all Sonic enough to make this work. Taxman and Stealth did a spectacular job with the remakes for Sonic CD, 1 and 2, and PagodaWest Games already have a reputation with games like Major Magnet, of which has taken some inspiration from Sonic. And their in-house composer, Tee Lopes, has made excellent re-imaginings of Sonic music in the past, and you can see his talent in Studiopolis Zone's BGM. And little things such as the return of the Combined Ring power-up (last seen in Knuckles' Chaotix) and the million-and-one Easter eggs you can find in Studiopolis just prove that SEGA got the right guys for the job. I will buy Sonic Mania on the day it comes out, and I will play the living and breathing hell out of it. Sorry for the double post, but I played Mania once at a gaming convention. It was as fun as they said it would be. Damn, that animation when coloured looks like the old OVA or whatever it's called. Tyson Hesse made it, BTW. And there's Stardust Speedway, too! Here happy all the Mania, everyone liked it, well, close, fulfilled the desires of the fans want, etc. and all "blamed" on Sega. 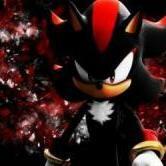 First, this project is a semi-fan, Sonic Team does not interfere . Secondly, I think this is partially a risky move, since StH4 was a failed attempt to do something like Mania today. Thirdly, remember Shadow the Hedgehog (2005) - many liked the idea, new game mode, where all the rest of the pre-release information. When she came out, fans like naked into the bathhouse and ran to buy this game, and it turned out to be a commercial success - more than a million copies - but in the end the review with a sad smiley saying mutually exclusive, the resulting sales: trash, shame, jumping the shark. So I'm not 100% sure what Mania will appeal to many fans of - control levels may not like, etc, I'm not talking about the initial opponents of the Mania. So.... the PC version of the game comes with DRM..... DRM that can potentially damage a hard drive. I've never asked for a refund from Steam before, but this time, I am. Guess I'll need to wait a long time to play it now.